Android smartphone owners can now send and receive text messages from their computer. The new feature, which rolled-out worldwide last night, means users can continue to send and receive messages in their text threads even when their phone isn’t to hand. Text, photographs, and stickers are all supported in the web browser version of Android Messages. 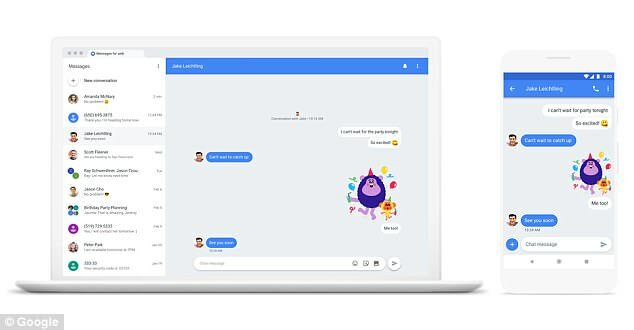 The new functionality brings Google’s offering up to par with the likes of WhatsApp, which offers a mobile app and web browser component, and Apple’s iMessage, which has iPhone, iPad, Apple Watch, and macOS apps for the messaging service. Code hinting at the launch of a web browser version of Android Messages first leaked back in February. Google has now started to roll-out the final update to users worldwide. To get started with the new feature, users need to ensure they are running the latest version of Android Messages by heading to the Google Play Store on their handset and checking for updates. Once that has downloaded, Android users will need to navigate to messages.android.com on their desktop computer or laptop. Android Messages only works on Google Chrome, Mozilla Firefox, Safari, or Microsoft Edge web browsers, so users with Internet Explorer are out of luck. 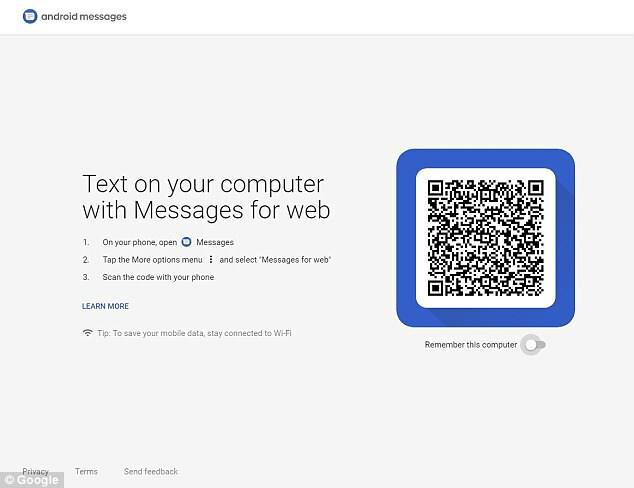 When the Android Messages website loads, users will be presented with a QR code. This method of authentication will be familiar to WhatsApp users, as the messaging client also uses a QR code to establish a link between mobile app and web browser. To scan the QR code in Android Messages, tap the three-dot icon in the top right-hand corner of the smartphone app, and hit the option marked ‘Messages for web’. This loads a camera interface, which users need to point at the QR code. As soon as the scan is complete and the computer is ready to send texts, the smartphone will vibrate. Android Messages contacts and conversation history will then be loaded inside the browser window. Unread messages will be shown with a red dot next to the Messages icon in the browser tab. It’s possible to login to Android Messages to any number of different machines using this method, however, users will only be able to send texts from one computer at a time. As soon as users open Messages for web on a computer, their text conversations on any other computers or browser tabs will become inactive.